Behind the ivy-clad walls of an exclusive boarding school, lurks a sinister web of corruption, scandal, and conspiracy. American student Raven Stone has noticed something is horribly wrong. First there were the unexplained disappearances. Then there were the teachers' lies. And now the death threats ...Also entangled in the disturbing turn of events is the enigmatic Kieran Storm - a fellow student with a killer intellect and a body to die for. He's heading for trouble and taking her with him. Raven can feel herself falling in love, but can she trust a boy she knows almost nothing about? Review: this is a very different kind of book for me and so it did take me a while to get into this, if you are used to reading this kind of YA contemporary though you will have no trouble. And no trouble was exactly what I had when I eventually got into this little gem of a novel. I wasn't so hooked on the character of Raven and so it wasn't until the boys (Kieran and Joe) got involved that I felt the story gathered any pace for me. I felt there was someone about Raven, that she was wallowing in something but I wasn't sure what And I wished she would just shut up and get on with it. The boys were new to the the school and I felt like I was in the same boat as them starting out reading the books with them and so I think I identified with these characters more! I knew nothing about this storyline but I found it really interesting. It reminded me a little of the St Trinians stories, but most of all of the Demon Headmaster which was a major favourite of mine as a child and so I enjoyed the school setting and the idea of something not quite right going on inside a school. Being a teacher myself I did become worried about risk assessments and the children's progress over the course of the novel but I managed to squash this most of the time. This story had a lot more action than I normally like in a book but I found it quite exciting and wouldn't rule out reading another novel with this level of action if it was a well-written as this one! The love story that goes alongside the action in this novel is a classic protective male, slightly clueless female storyline initially, however, things do evolve and in the end, this female is anything it helpless! I really liked the friendship aspect of the story too and was a surprisingly pleasurable sub-plot! 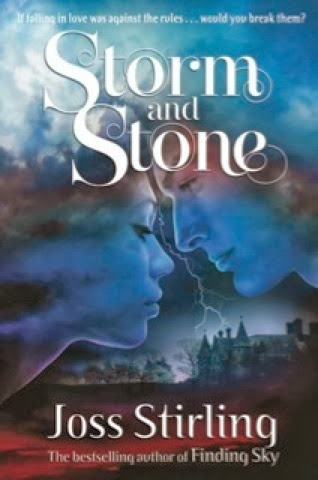 I think if you are a fan of Joss Stirling's other writing, you definitely won't be disappointed with her latest novel. If, like me, to are slightly newer to this genre I think this is an excellent way to ease yourself in and there is enough of a love story there for even the most die hard of romance fans!